The Conservative Party's complaints process is "robust", the party chairman has said, after a campaign group wrote to him about claims of Islamophobia. 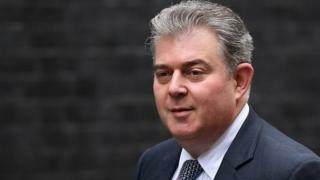 Hope Not Hate's Nick Lowles asked for Brandon Lewis to clarify his claim that all complaints of Islamophobia by party members had been dealt with. Mr Lewis said "swift action" had been taken when complaints were made. He said there was "absolutely no place" for anti-Muslim discrimination in the party. Mr Lowles wrote asking for clarification after Mr Lewis said in November 2018: "We deal with complaints, none outstanding." He said he took that statement to mean there were "no complaints of Islamophobia outstanding", but said: "We now know that this is not true." He said: "Were you trying to mislead us, and via the statement, members of the public? In his reply, Mr Lewis said: "Anti-Muslim discrimination undermines society from within and there is absolutely no place for it in this country or in the Conservative Party. "We take swift action when complaints are made to Conservative Party headquarters (CCHQ), immediately referring them for investigation. "That was the case in November 2018, and continues to be the case today." "Investigations are rightly kept confidential and may vary in length, so we cannot and will not provide a running commentary on individual cases," Mr Lewis said. Earlier this month, former Conservative Party Chairman Baroness Warsi accused Prime Minister Theresa May of "burying her head in the sand" over Islamophobia in the party. Media captionBaroness Warsi on Theresa May: "She doesn't listen, she fails to acknowledge when there is a problem"
Shortly after her comments, the party confirmed 14 members had been suspended for Islamophobic Facebook posts and said "decisive action" would be taken against anyone making offensive remarks. 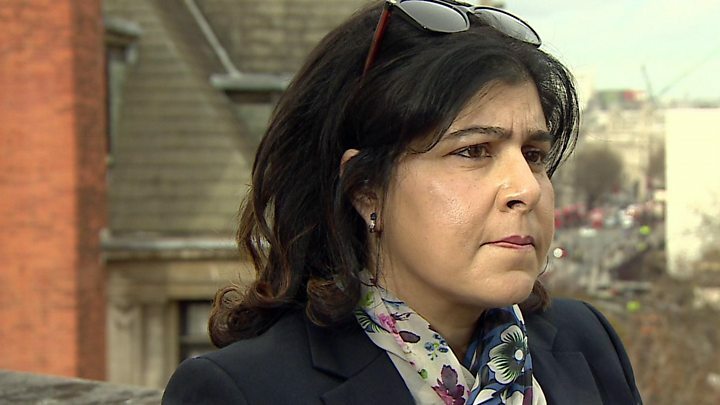 Speaking to the BBC Asian Network, Baroness Warsi repeated her criticism of the party and said it was essential there was a "clearing of the rot of Islamophobia which is festering like an underbelly in my party". She claimed the problem was "widespread" in the party and had been "going on for years". "The party does not take complaints seriously and only does so when there is a huge public outcry," she said. "And that to me makes this problem within the party an institutional issue rather than an issue of a few bad apples." "Every time I try to get answers, there is a wall of bureaucracy behind which people are hiding," Baroness Warsi said. Only "a full and independent inquiry" would get to the bottom of the issue, she said.